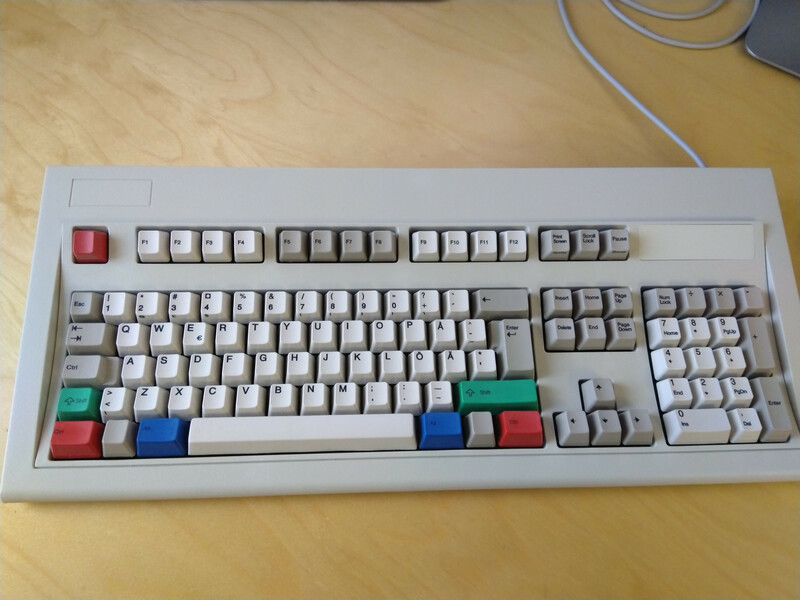 New Unicomp for work, so I can give my IBM Model M that I've been using for a few years some rest. 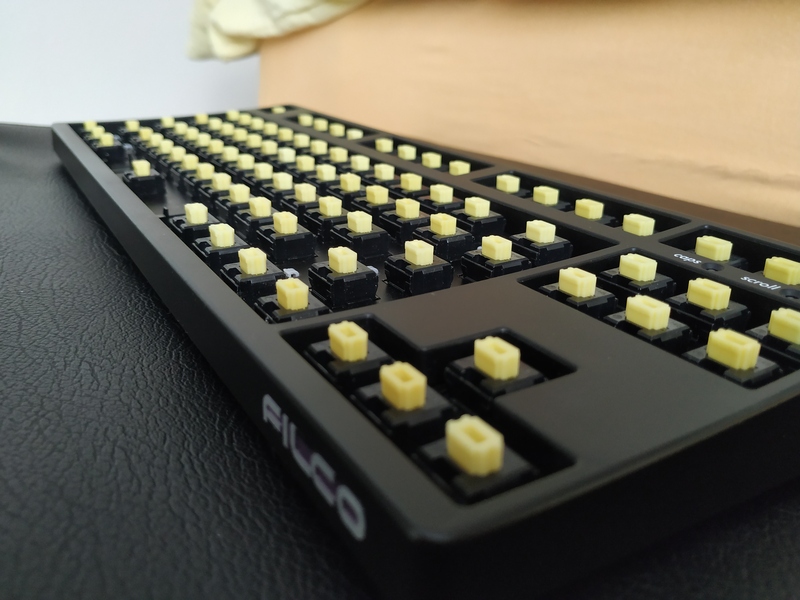 103 key configuration with some custom keycaps and a slightly modified layout. Last edited by Laser on 27 Jan 2019, 19:48, edited 1 time in total. Thanks! @matt3o It's the lesser evil in this case, the only "sane" solution to have both arrows and a non-swearable right shift in a 60% format. Last edited by Laser on 27 Jan 2019, 20:52, edited 1 time in total. 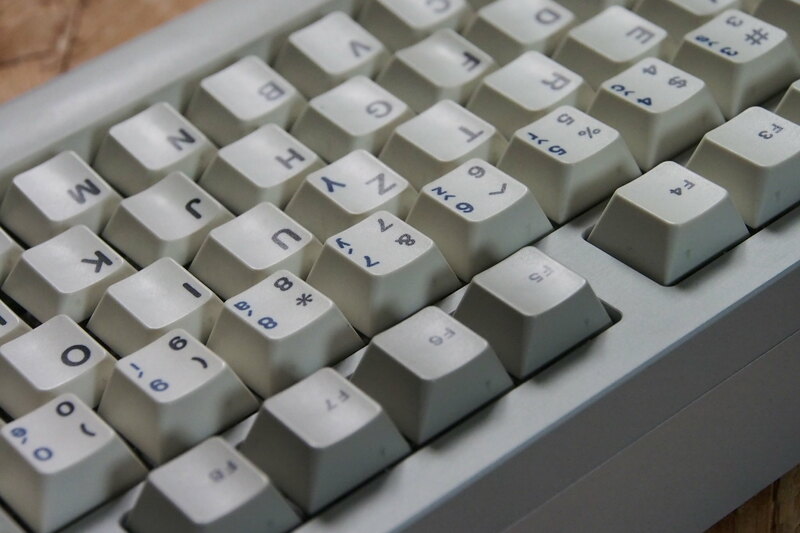 I’m not against alt layouts, but if you’re going to make the jump, you might as well leave QWERTY behind. 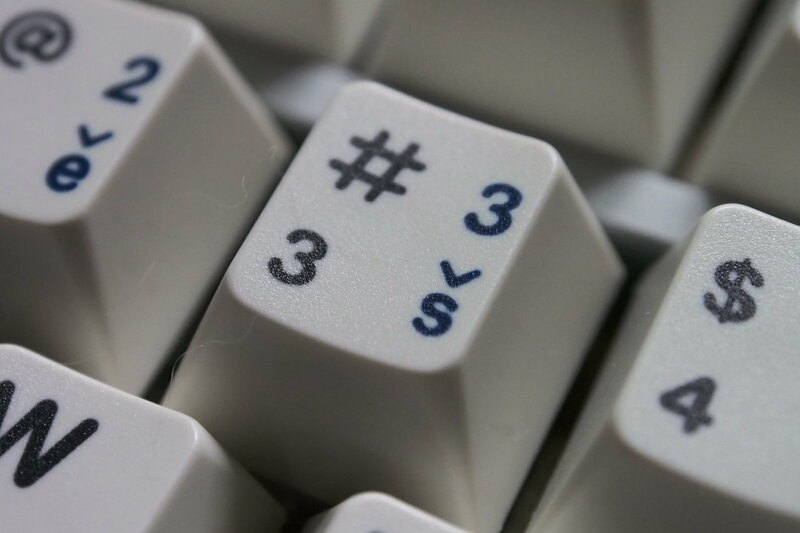 It's an interesting idea, treating the board as "split" to cram all the other important keys to the middle; but personally I couldn't use that layout. 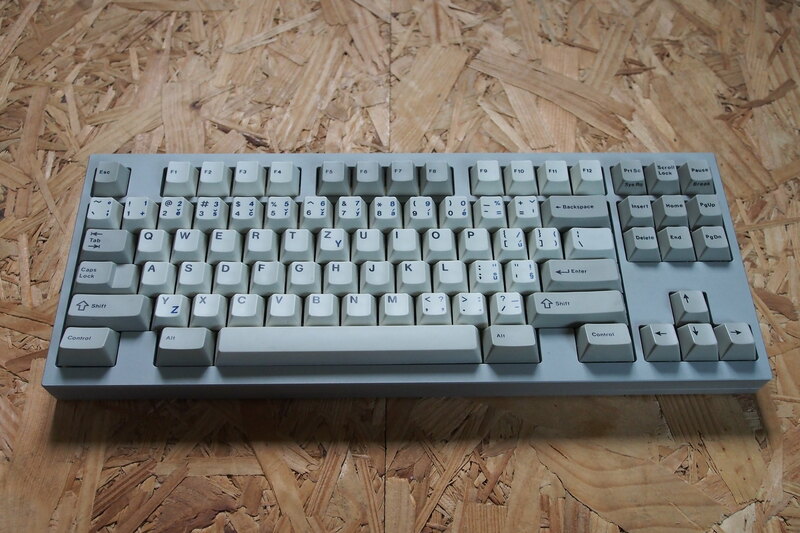 It's a real physical layout available on factory-made hardware (JIS Topre Realforce). 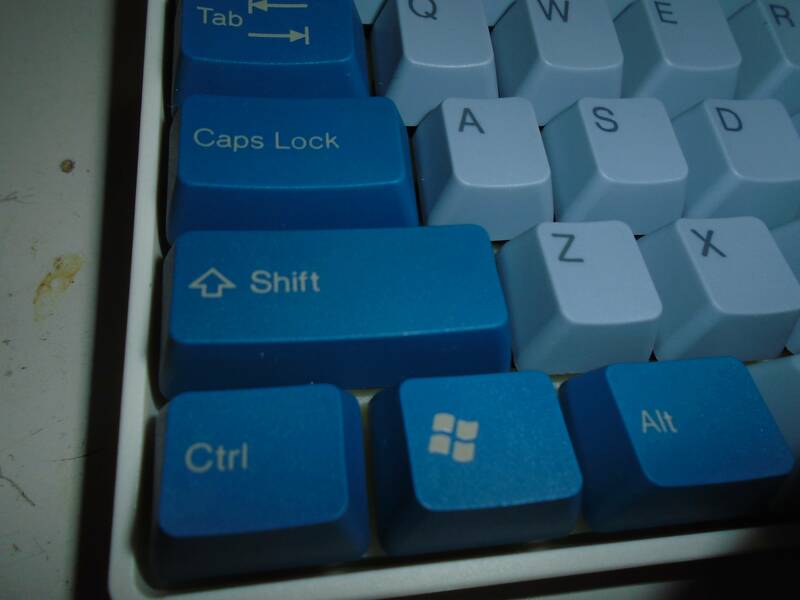 The only change is the wide mod: shifting all right-hand symbols two columns to the right, which increases hand separation and makes right-side modifiers easier to use. This is vastly superior to the standard layout. 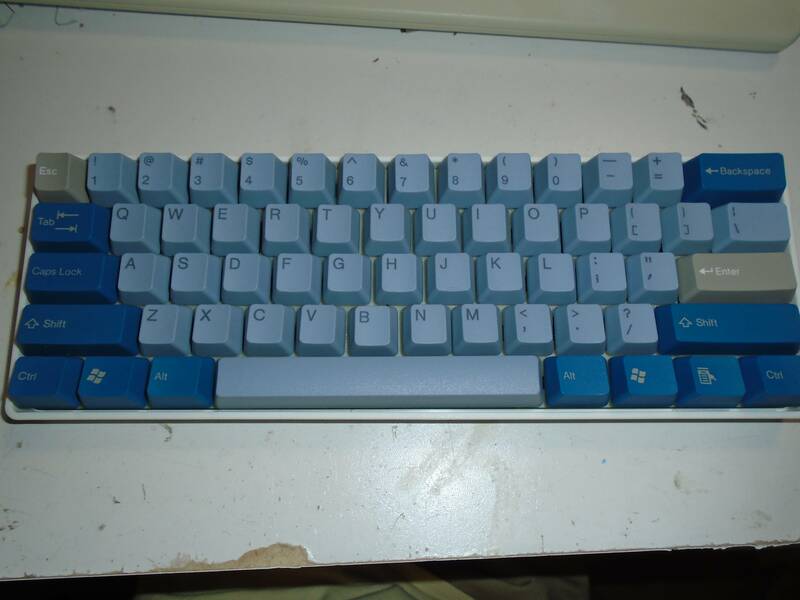 It occurred to me that I could put a HHKB-like diamond-shaped arrow cluster in the middle. 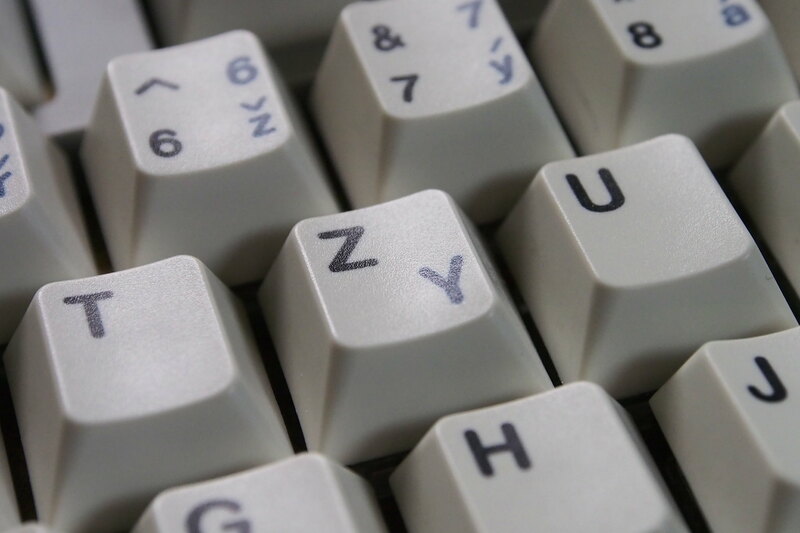 Yes, I use it with Colemak, but that doesn't matter in this context. 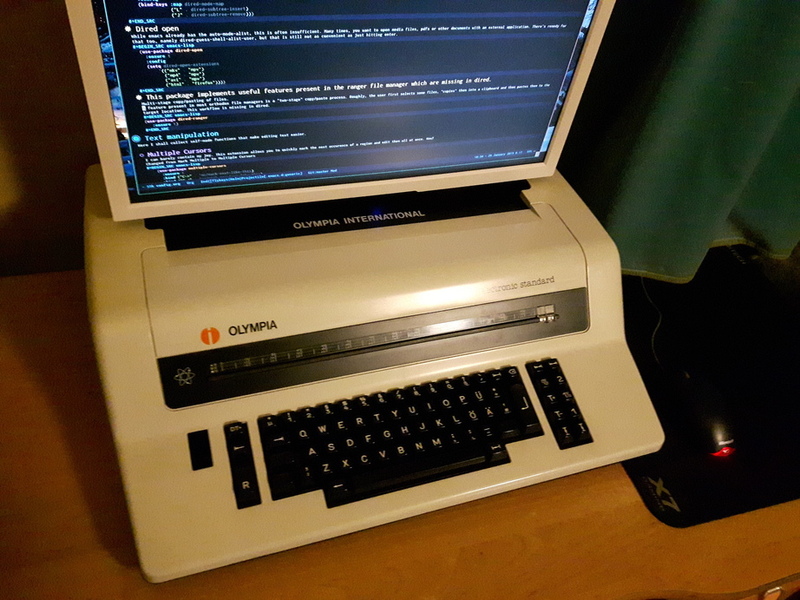 BTW QWERTY is much better for compatibility with existing hotkey schemes, which is arguably more important than typing to most people. Where did ‘ and “ go? Oh, secondary corner legends on a couple of alphas. I wouldn’t tuck those away. Much more common than many characters. See the right-hand home row. I use them on a layer. This means I don't have to move my hand (or worse: pinkie) at all. Highly recommended. Made this for myself. 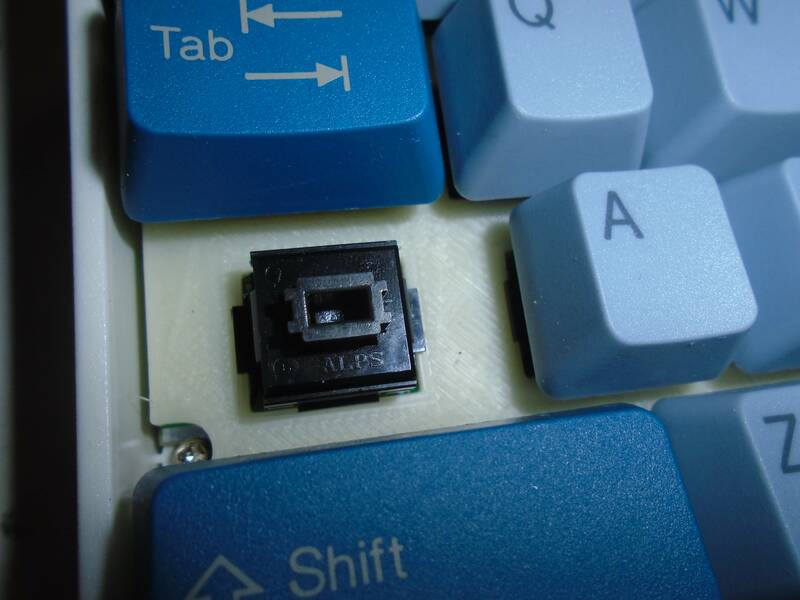 Unfortunately both parts of the the 3D printed plate shrunk somewhat and left a weird gap in the middle of the board. I will try to print plates in more pieces to mitigate this issue. I did NOT harvest the switches, they are leftovers from a Dell AT101W when I replaced them, they were in bad condition but are clean now. Kinda tempted to put ODROID in there and make sudo "media server" out of this. Maybe some audio passtrough for headphones, mic. Plus some usb hub and card reader somewhere for easy access. Hmmm. 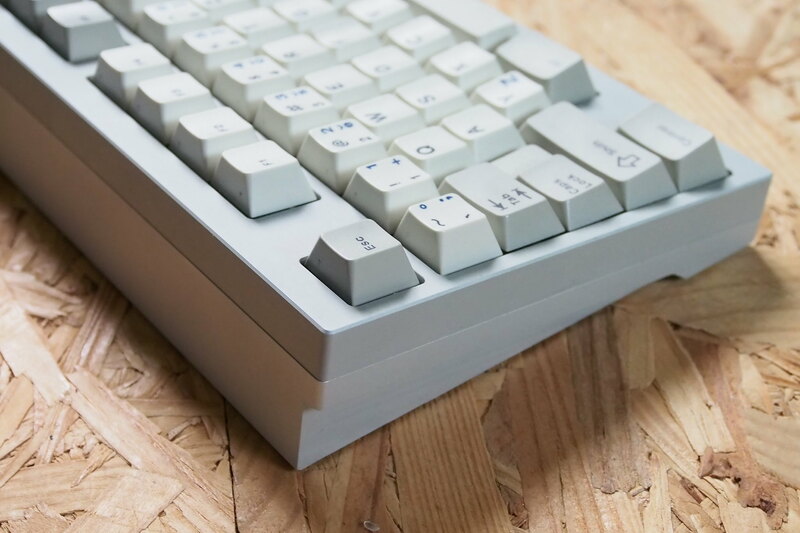 I wasn't sure what i'd think of the MDA profile, but I figured since the "big bone" set had a 5.5u spacebar that fits the NIZ 84 keyboard, I figured I'd give the profile a shot. The MDA caps are about the same height as enjoyPBT caps. 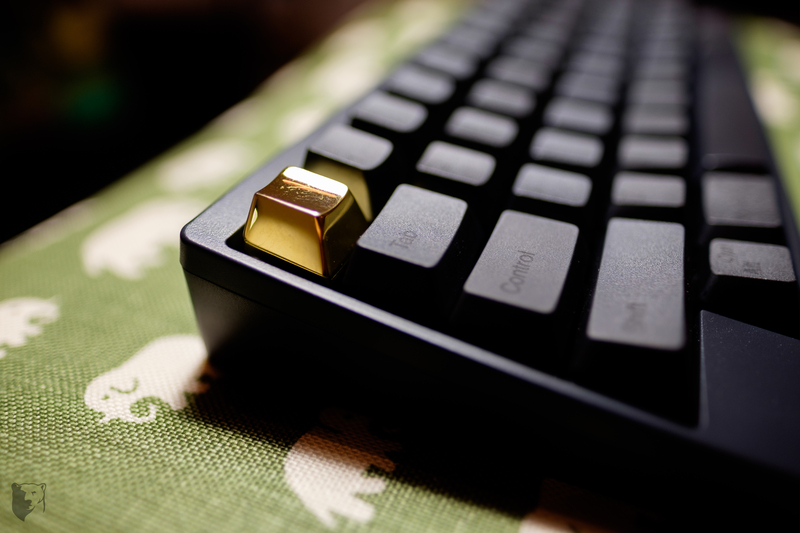 I like the flat sculpted profile, but some keys are not consistent in their profile. 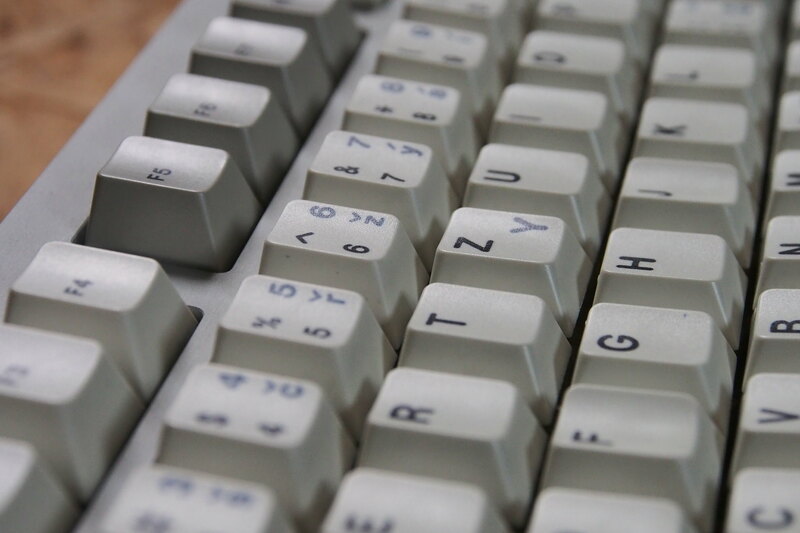 The enter, backspace, and the larger shift keys are slightly higher profile that other keys in their perspective rows, while other mods like the tab, capslock, and 1.75u shift are the correct/same profile as the rest of the row. 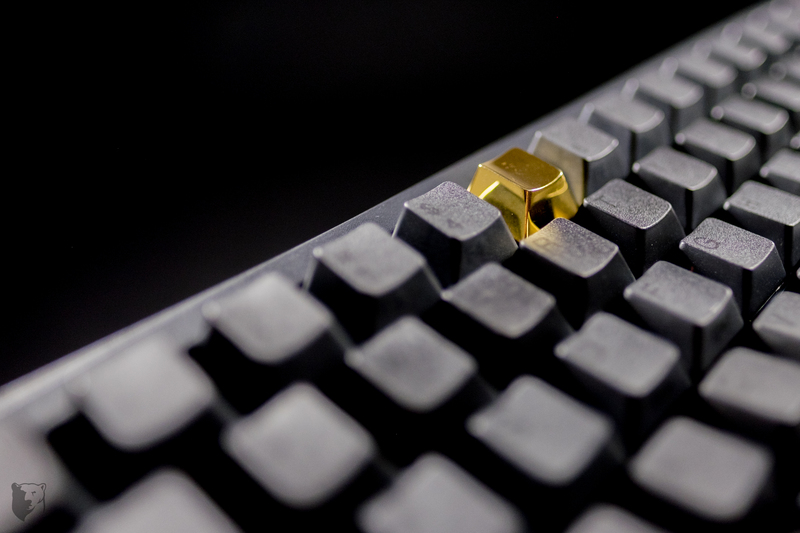 edit: profile of the caps seemed off because of the NIZ mx/topre sliders. Caps on a board with cherry stabs and mx switches, all is level. Maybe it's the newness of the profile, but MDA is rather nice to type on. Not better than cherry profile, but different in a good way. 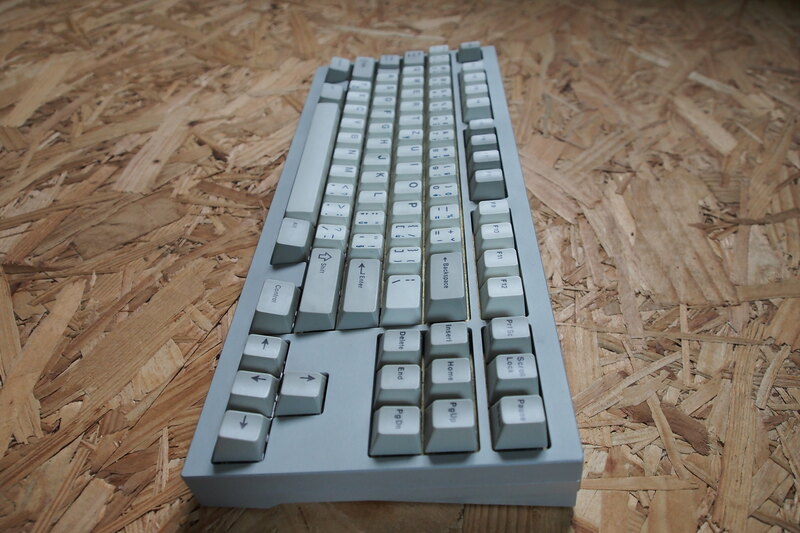 The convex bottom row and the tall F row keys feel great, and look okay. For whatever reason, on the 1.5u control keys, they spelled it "contrl," so I doubt I'll be using this set on any 1.5 boards. I'll probably just let the caps live on the NIZ board. Cherry knew dyesubs, all right! They’re some of the best looking, best workday caps ever. Not just lookers but performers too. 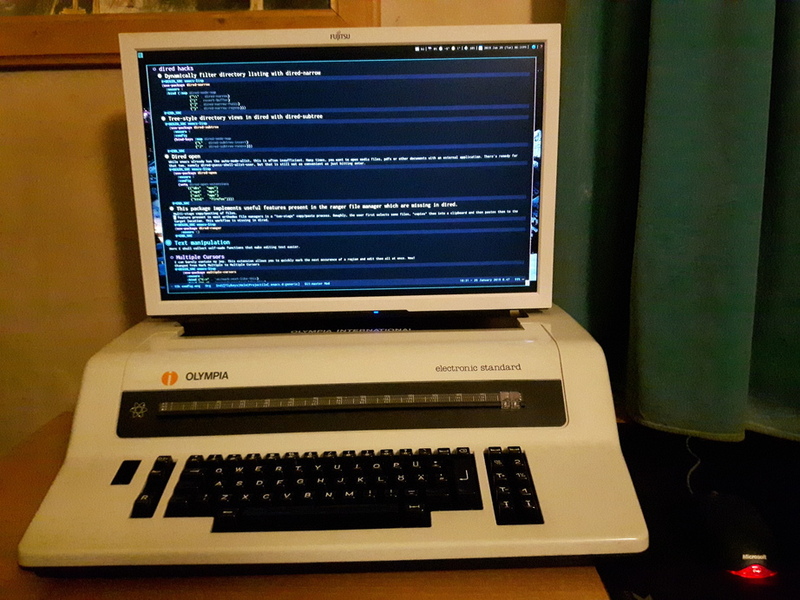 Hey I own a RAFI Compudent too, frist time I've seen another one here! I must admit I'm still at zero Topre artisans, or IBM for that matter. Fancy caps are one of the few things keeping me MX adjacent. I initially put it on escape, but had some divine inspiration telling me that it looked like a gold tooth and that this is the way to solidify that look. Don't worry, it'll go back on escape soon-ish. 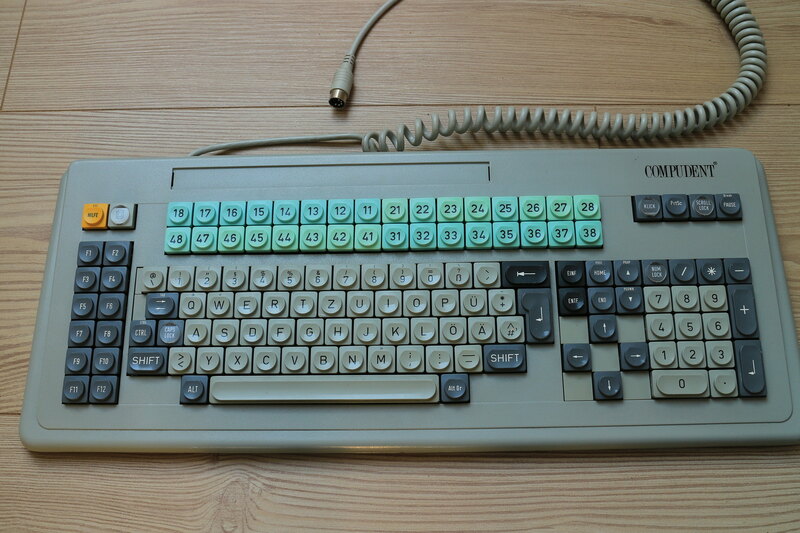 Technically an OG Cherry JP Dyesub set... these are Hirose JP Dyesub keycaps! Quite a nice set! Too bad about there being no homing keys. How are the Hirose Clears in there? 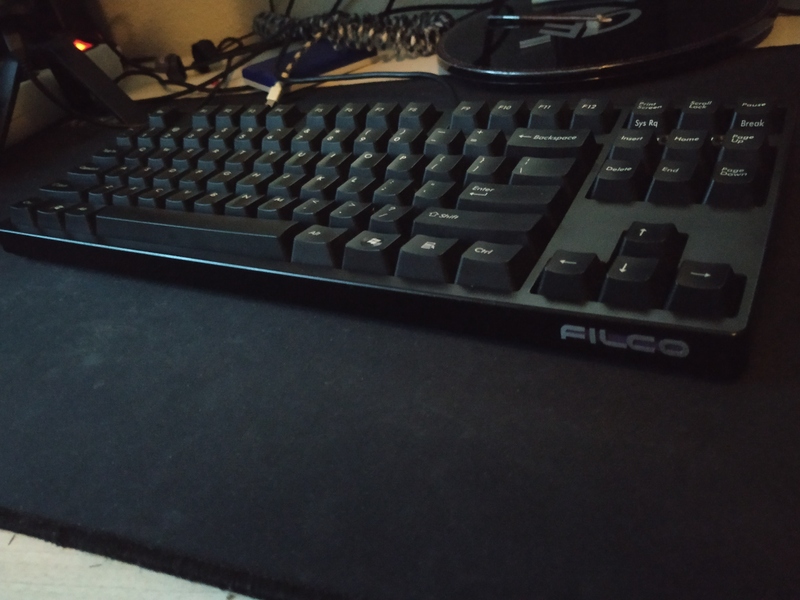 Here is my Filco Zero with NOS SKCL yellows. 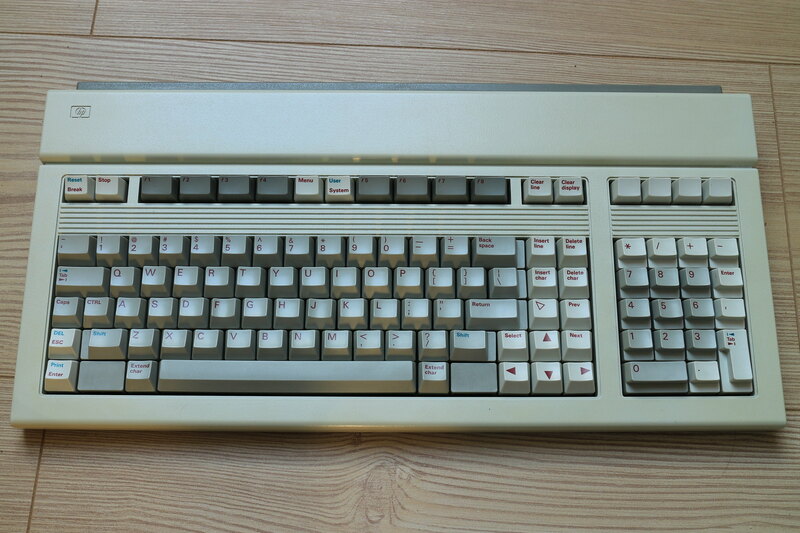 Best gaming alps keyboard i have ever used i can press up to 18 keys at the same time .